Now this is what loving wine is all about! Previous What does a girl give a man that just gave her flowers?… introducing Man Flowers! Hey Conrad, someday you may want to also try a Sparkling Syrah from South Coast Winery in Temecula CA. It is called Ruby Cuvee. We like it so much we had a bottle put on every table at our 25 year wedding anniversary celebration we had a couple of years ago! Thanks for that Ruby Cuvee mention. I am always looking for more Sparkling reds. 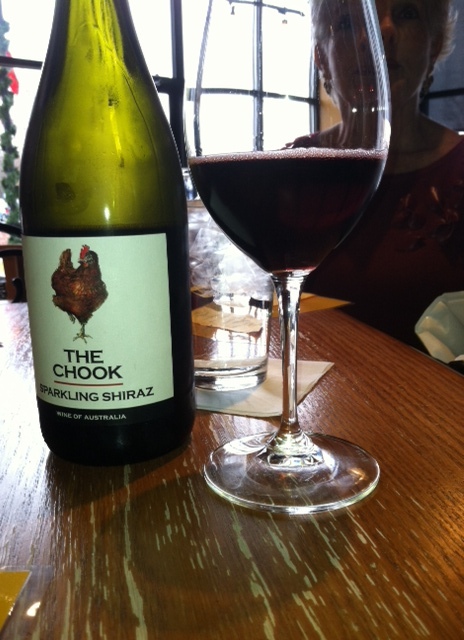 The Chook is the only one I can really find. I love the name. Only an Aussie could come up with that one. Love sparkling anything! Nice post from MrSugarbears! Yes indeed, and I know you two follow each other too. Thank you again for this re-blog and mostly for introducing me to such a fun wine! OMG Black Chook is delicious and deadly. Haha, fond memories of overconsuming that particular drop with a friend. Wonderful with pretty much anything on a warm summer’s day. And of course it is from my beloved Southern Vales. Yep, sure is! Thanks for dropping in. Cheers!